Celebrating military families, one Home makeover at a time. This makeover is so farm cute! Helping to improve the quality of life for military families. We want to give a room in your home a Makeover! ​turn a house into a HOME. We are more than a home improvement series, we share what it's like to be a military family; the trials and the triumphs. We seek to empower military families, and share their incredible stories. families give to on the homefront. Make sure to watch all our episodes. You won't want to miss a single thing. I am the creator of "Moving with the Military," a home improvement and lifestyle web series that helps military families turn a house into a HOME. We laugh, we talk and share stories. As an active duty military spouse, I understand the struggles and joys of military family life. 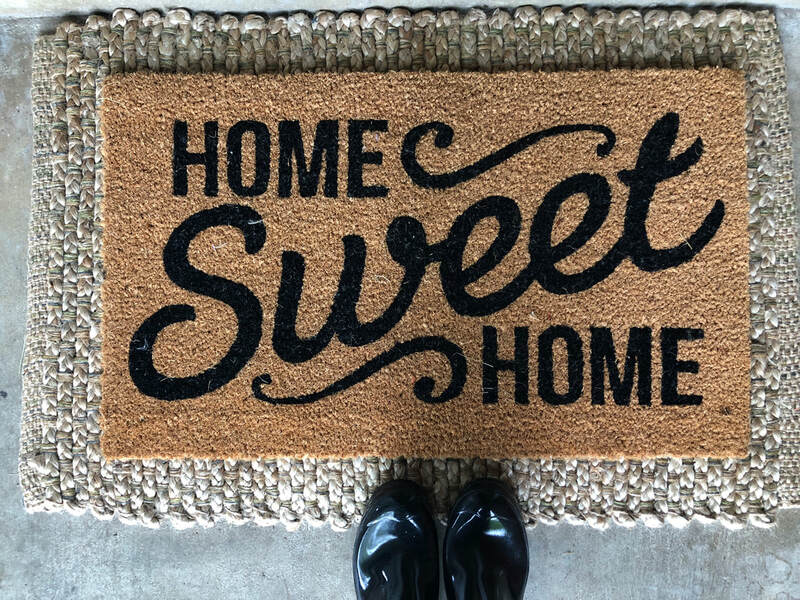 Our team is here to help you decorate and organize your new house, get you connected with your community, share your story and be the sounding board that sometimes you may need. During my 25 year career in the television and film industry, I worked on locations all over the world; creating spectacular scenes from the modern design to traditional. As a military spouse of 14 years, I have learned to be resilient, kind and resourceful. I came up with idea for this series after my daughter, who was 10 at the time asked, "Can I paint the walls in my room mom? I want to make it the way I want to. It would make me happy." Something so simple as decorating her room brought her so much joy. That moment led me on a journey to help military families create their own joy in whatever space they lived in, by finding solutions that are removable, reusable and affordable. Through decorating and design I have discovered that treasures can be found in the most unlikely places, and helping people through creativity is my passion. I can't wait to meet you. So drop me a line and let's become friends. PCS moves can be tough. Moving to a new city, state or even country. We want to hear your inspirational stories. Share your tips and tricks for creating storage space, hanging artwork and getting plugged into a new community. Making the most of your new space can be a daunting task. Let us help you create a beautiful space that puts a smile on your face and doesn't break the bank. We work with local small businesses to come up with some clever solutions for your needs. ​Moving with the Military home decorating and organization made easy. Even though you may move often your new military house should feel like home. As they say "Home is where the military sends us." So let us help you turn your house into a HOME. Of all the trees in the forest, none fills our collective spirit as the oak. The oak tree is a symbol of strength and endurance, of protection, success and stability. ​The oak was designated as the official national tree of the United States in 2004.
oak leaf inspired home decor and wearables brand that embodies the stature of the Mighty Oak. We are gearing up for our first web series season. Can't wait to create a space you will love to call HOME. Share your photos, decorating ideas, recipes, tips and tricks!